For many adults in America, oral health may seem like a daily task you would rather not deal with or think about. In fact most individuals really only go to the dentist once they are in actual pain. How important is Dental Health? As you get older, your oral health becomes an essential aspect of your life, especially since your teeth tend to become weaker with age and with time you could develop deep pockets that require deep cleaning. Proper oral care involves brushing, flossing, and seeing your dentist regularly as well as choosing to eat healthy foods that are high in nutrition to support oral hygiene. If proper steps are not taken for your oral health, the risk of experiencing health issues increases tremendously. For adults and children that don’t maintain their gums and teeth with regular check-ups and cleaning large numbers of bacteria can develop in the mouth and lead to an oral infection. Diseases like diabetes and heart disease have been linked directly to poor dental hygiene and more recently studies have shown there may be a link between advanced gum disease and dementia. According to the Centers for Disease and Control 27 percent of the adults in the United States have untreated tooth decay and 46 percent of adults aged 30 years or older show signs of gum disease. Even the most basic of oral health practices: like using fluoride toothpaste, rinsing immediately after eating foods high in sugars, and drinking lots of water, can help promote oral health and protect yourself and your smile. 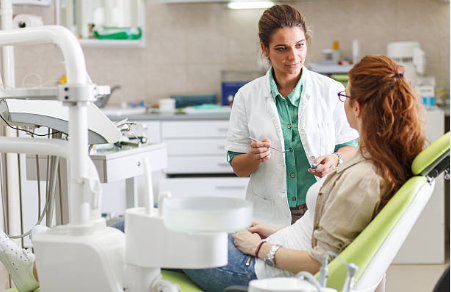 When looking for advice or information on your dental health, it is important that you always speak to a dental professional that can give you clear, precise, and detailed treatment plan to maintain or restore your gum and teeth help. That is why at Summerlin Dental we offer our patients the best information and dental check-up services to help prevent advanced oral health issues. To contact Summerlin Dental today for more information or to set an appointment, contact us today at (702) 228-2218 or book an appointment online at our appointment page. You only have to floss the teeth you want to keep! J One of the best dental tips that you can have is a simple daily task to protect your teeth which is to floss and brush. When you brush your teeth, you are cleaning about 60% of your teeth. That leaves nearly 40% uncleaned. Not a big deal, right? Think about it like this, over 100 different species of bacteria can live in your mouth at the same time. Do you want to leave 40% of those bacteria in your mouth? So, what can we do to clean the parts of your teeth the brush can’t reach? The answer, Floss. By flossing once a day it can help disrupt bacteria colonies growing under the gum line, dislodge food particles that bacteria thrive on, and keep your gums healthy by avoiding gingivitis. The overall health of your body is directly affected by your oral health. A daily oral care routine which includes flossing is a great way to help fight infection, keep a bright smile, and stay healthy. Set a Digital Reminder – Setting timers with your phone or reminders for your home computer system are free and effective ways to carve out time in your daily schedule for dental hygiene. Install Productivity Apps – Joining online communities of other people trying to achieve the same oral hygiene goals as yourself through apps can be a major boost in confidence and help you track how many times you need to clean your teeth every day. Get Easy-to-Use Flossing Use – Technologies tools like the Waterpik and Airfloss can make flossing fast, easier, and more effective than traditional flossing methods. 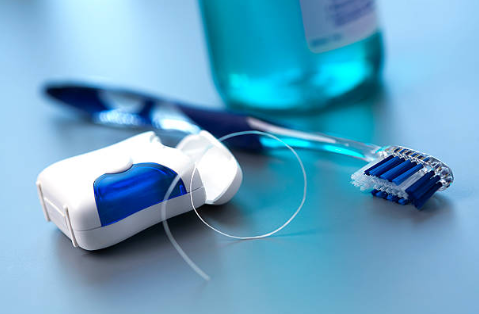 Keep your Dental Floss Handy – You never know will the urge will strike – so keep one in your purse, backpack or car.